Thinking out loud on the journey Home. I have been wondering recently if social media is worth it. I am sure it is worth it for some people who have been gifted with a platform and the needed wisdom to use the medium well. Social media like most any tool is neutral territory; it is how one uses its powerful functions which determine its suitability for use. 1) I can get a heartbeat of the culture and what is going on in the world. Perhaps my chief use of social media (largely Twitter) is that I am able to follow theologians, politicians, and other social commentators I respect, and see what they are saying about the events and ideas of the world. Because it is all in real time, it can be helpful to hear what others are saying the moment after something happens. There is a major emphasis in our world at large on leadership, self-improvement, overcoming obstacles, and finding the best version of yourself. Achieving goals and actualizing dreams. You are familiar with the messaging I am sure. It is no surprise to me that such ideas have for a while existed in our modern, Western Christianity. There is enough overlap between the “modern motivationalism” and the New Testament statements of “life abundant” and “be ye transformed”, that the former can be easily conflated with the latter, provided there is a slight cherry picking of the Bible verses to satisfy the majority of the evangelical masses. Many of us see no contradiction in the two messages, and our Christianity is thus shaped by the surrounding culture. It is natural as people learn and progress in their faith for them to gravitate to the teachings and developments of others. The Christian tradition has a wealth of material to glean from—from theological systems, to ancient controversies, to interpretations of challenging texts, to foundational doctrines—much of which the modern Christian can ground himself in, to much personal benefit. It is my personal opinion that the anti-intellectualism and simplistic epithets of modern evangelicalism could profit much from an immersion in the robust thought of those Christians who have gone before us. Lloyd-Jones is one of my favorite preachers of all time. 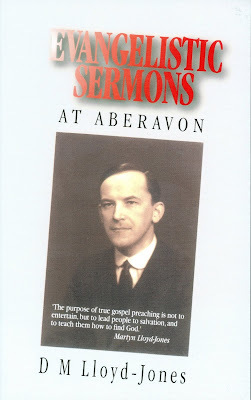 Over the years I have listened to scores of his messages on sermon audio and youtube, as well as read several collections in book form. This collection from the early years of Lloyd-Jones ministry is as good as any other I have read. Being a Dad is just the greatest thing. I was at one time a bit unsure about how it would work out, afraid of the added responsibility and the expense. Maybe I am still afraid of those things, but the joys of fatherhood seem to have outweighed any lingering fears. Few things can be compared with seeing the face of your son light up as you walk through the door after a long day at work. I had heard that being a Dad will help you understand a little more the reality of God being our Heavenly Father: the way He feels about us, or the methods He may use to form and discipline us out of love. Though no analogy is perfect I have already had a few experiences which seem to have shed first-hand light on some ways God works on us. I read a really good exchange in H. W. Brands' book The General vs. 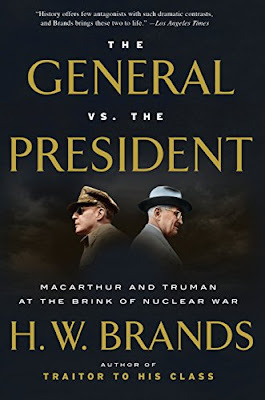 The President, where President Harry Truman is advised by one of his speech writers to add that his decision to fire MacArthur was unanimously supported by all the Joint Chiefs of Staff (his apolitical military council). 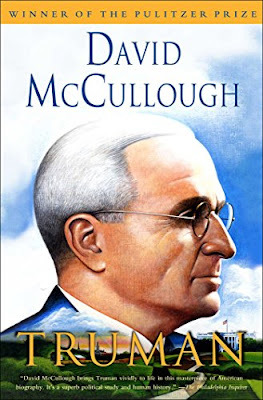 MacArthur’s public comments and military movements had verged very nearly to insubordination and required something decisive to be done by the administration before things got worse. But, because the President's approval rating was plummeting, and because firing the ever popular MacArthur would incite quite a backlash, it would likely have been prudent to make mention that the Joint Chiefs of Staff had unanimously concurred with the decision to remove the general from command. I picked up Truman, primarily because I wanted to understand a little more about the post WW-II events and decisions that so marked the latter half of the 20th century. What I got was something much more. An opportunity to live alongside one of the most remarkable and unlikely lives in American History. I am a pretty normal guy. I am married to the love of my life, Montana. She's great. I am a sinner, but I have been saved by Jesus Christ. I want people to know about Him.